With a number of variations to choose from, our timber tilt & turn windows are suitable for both traditional and contemporary homes. Developed in continental Europe, they provide practical benefits as well as effortless style. 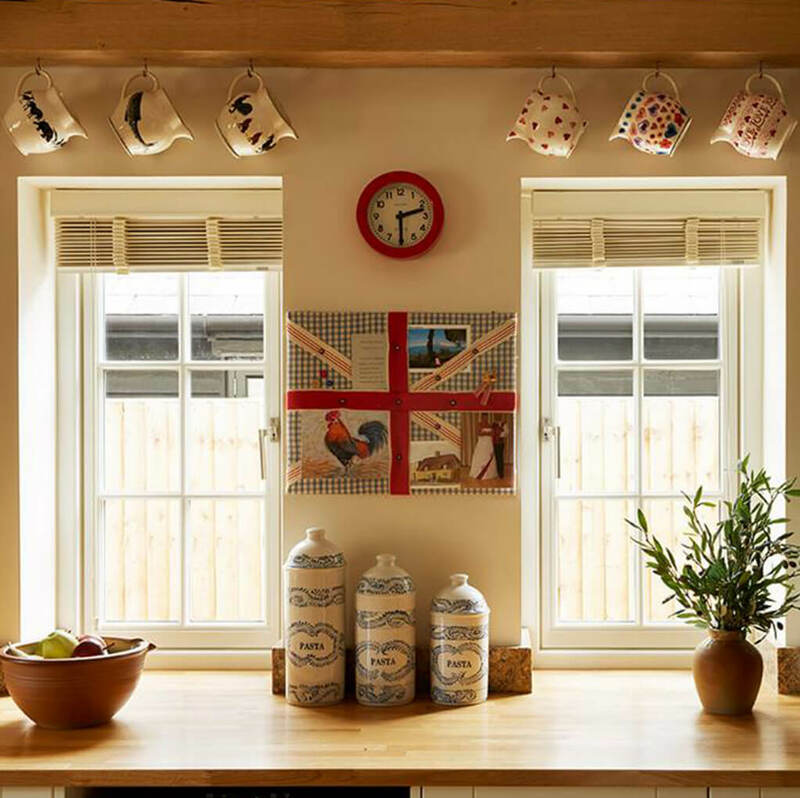 Timber tilt & turn windows feature a unique dual hinge system, which enables them to be opened either slightly or fully from the side or top of the window frame. This innovative opening mechanism allows you to ventilate your home securely, which is ideal for properties that are significantly high up. This includes blocks of flats and high rise buildings. The quality of the timber and hardware in use is second to none. By using only quality materials and hardware supplied by George Barnsdale, the performance levels of our tilt and turn windows excel in every aspect, including security, acoustic and thermal performance. As standard, a Window Energy Rating (WER) of B is achieved, however a rating of A+ is possible with certain configurations. Featuring a multi-point locking system, they secure your home from intrusion. For extra security, toughened glass is available too. Thanks to dual weather seals, excessive noise and adverse weather conditions will be unable to make their way into your home. Tilt & turn windows can be fully opened internally, allowing for a safe and straightforward clean. An incredibly diverse number of finishes can be achieved. Choose from either a contemporary or traditional colour and four choices of wood. Finally, decide on a single, dual or mixed colour application so you can truly adapt your new windows to your liking. A selection of glazing depths are available, ensuring the levels of performance are able to match the stunning aesthetics on offer. We also offer a huge range of glass types to suit your unique requirements, including toughened, glare resistant and noise reduction glass. And for further customisation, choose from a selection of stunning decorative options. Utilising expert craftsmanship that has been continuously refined for over a century, the quality of wooden framing used on our timber tilt & turn windows is truly astounding. However, T&K also supplies tilt & turn windows with uPVC and aluminium frames. Customise your new windows with finely crafted furniture, which are available in a range of finishes. The choice of finishes includes Chrome, White, Black and Gold. Whichever you opt for, rest assured that the finish is nothing short of exquisite.